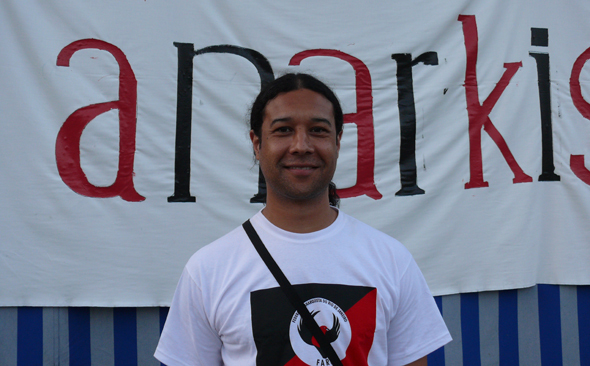 Interview with Warren of the Zabalaza Anarchist Communist Front done at the St. Imier international anarchist meeting about the importance of forging both organisational and personal ties with comrades around the world. In addition Warren sheds some light on the origins of anarchism in Africa. Interviewed by Adrien of the ZACF’s sister organisation Motmakt from Norway. Motmakt: I’m here in beautiful St-Imier, Switzerland. And we have taken refuge from the sun and are drinking a little bit of beer and are having a great time. I am here with Warren from the Zabalaza Anarchist Communist Front, and I was wondering Warren how did you hear of the St-Imier conference? OASL: Could you briefly describe what the ZACF is, and what model of organisation you chose to enact? 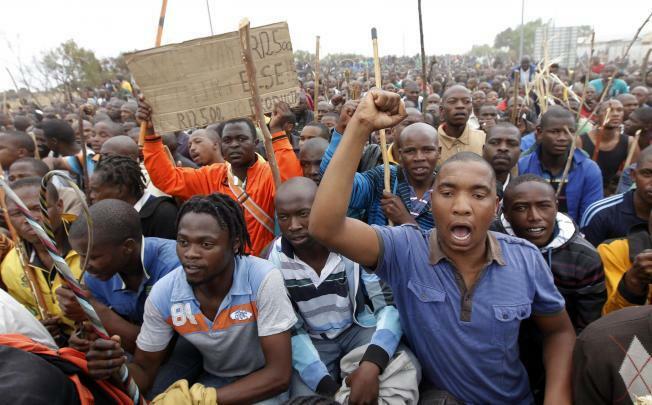 ZACF: The Zabalaza Anarchist Communist Front , ZACF or just Zabalaza (which means “struggle” in the African languages of isiXosa and isiZulu), is a specific anarchist organisation, or a political organisation. 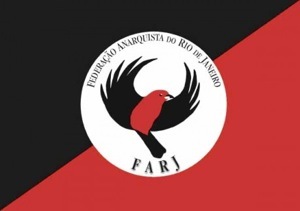 The ZACF identifies with the platformist tradition within anarchism, or in Latin American terms, with Especifismo. Zabalaza is a unitary organization, with membership open only to committed anarchist communists, who agree with our goals and principles, and are able to show them in practice. As an organization that identifies itself with the platform, while recognizing its limitations and weaknesses, we demand a certain level of theoretical and strategic unity and collective responsibility. This is mainly due to our own experience, when we discovered that a smaller but more firmly united organization, with a greater level of strategic and theoretical unity and collective responsibility, can achieve much more than a large organization with very little common understanding of its goals and objectives, little strategic and tactical unity, and therefore little collective responsibility. This is how we understand the distinction between the specific anarchist organization, an organization open only to militants of a particular tendency within anarchism, and the organization of synthesis, bringing together those who identify themselves as anarchist, even if their interpretations of anarchism is completely different, even opposed. Richard Estes and Ron Glick interviewed Lucien van der Walt, co-author of Black Flame: The Revolutionary Class Politics of Anarchism and Syndicalism, on their show “Speaking In Tongues,” KDVS, 90.3 FM, University Of California, Davis. The interview took place on September 25, 2009. The transcript (edited slightly for clarity) is below. If you’d like an audio recording of the interview, go here or here. For a higher quality recording of the entire show, go here.